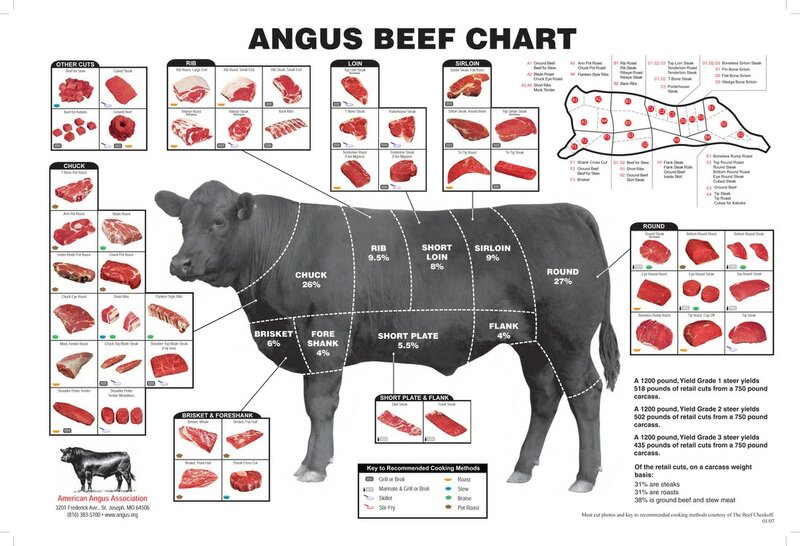 No Quarters of Beef are currently available. Please check back later! Sides & Quarters listed above are available for pick up now, please call to reserve. Freezer beef sides & quarters are sold by the hanging weight. Hanging weight is the weight after slaughter of the carcass. "standard" bone-in cuts (because you are taking only ½ of the side). You will have“shrinkage” in the aging process. Bones and small amounts of fat removed are “cutting loss”. This varies with individual cutting orders. (The more boneless cuts you order, the higher percentage your loss will be). Remember by keeping the bone in the meat it adds flavor in cooking. Also, many nutritionists believe bones add nutrient value. Cutting loss averages 30% of carcass weight. Sides average 300 to 350lbs hanging weight. We deliver animals to be processed to Pease Packing in Scotts, MI.